Email still ranks #1 in relationship building, trust and credibility. Sending your leads, customers or clients an e-newsletter on a regular basis will not only provide them with information they will appreciate and learn from, it is a demonstration of your professionalism. Vibrant Internet Marketing takes the stress out of continuously writing quality content and managing an email marketing campaign. 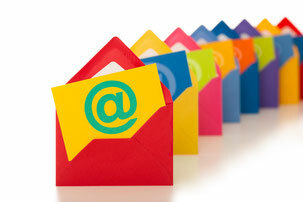 Contact us TODAY to get started with your next email campaign!